I am not a well- founded writer, I am not even good in translating my thoughts into words and to express myself correctly for I don’t have a rich vocabulary to aptly describe the ideas in my mind. Neither do I have profound ideas, great insights and creative concepts; but one thing is truly accurate, I love blogging. 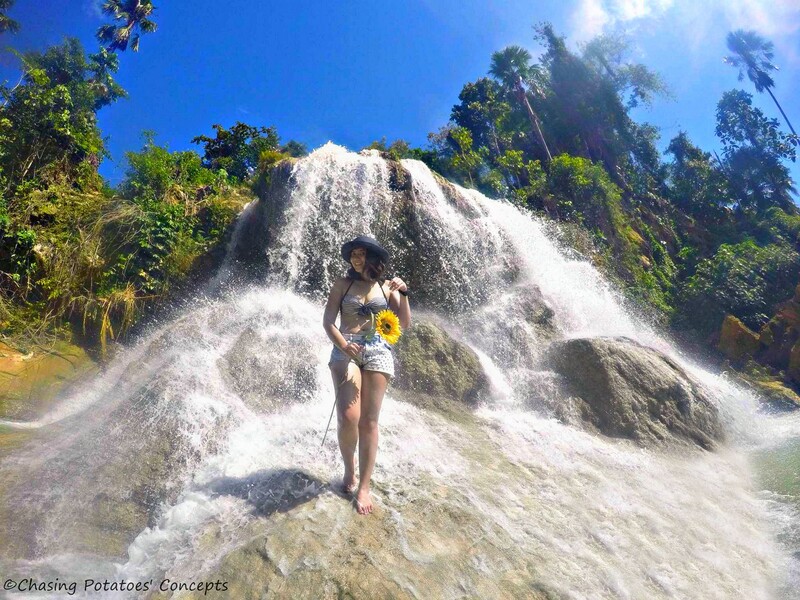 I am so fond of blogging that I just realized I have been sharing my perceptions by way of brief entries for almost a year and a quarter (4 years now haha 😂) This favorite pastime of mine has inspired me to live by the name of “The Wanderlust Keeper”. I have the desire to go places and experience the thrills along the way, learn something new and expand the keepings of my wanders. 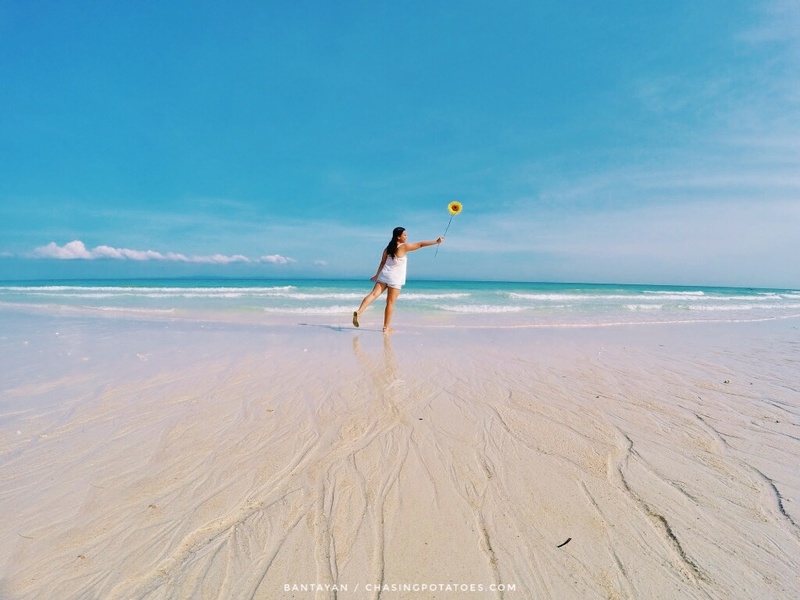 I love to visit other places but…wherever I go, nothing really beats the place where my heart is, my home, my island paradise, Bantayan Island. 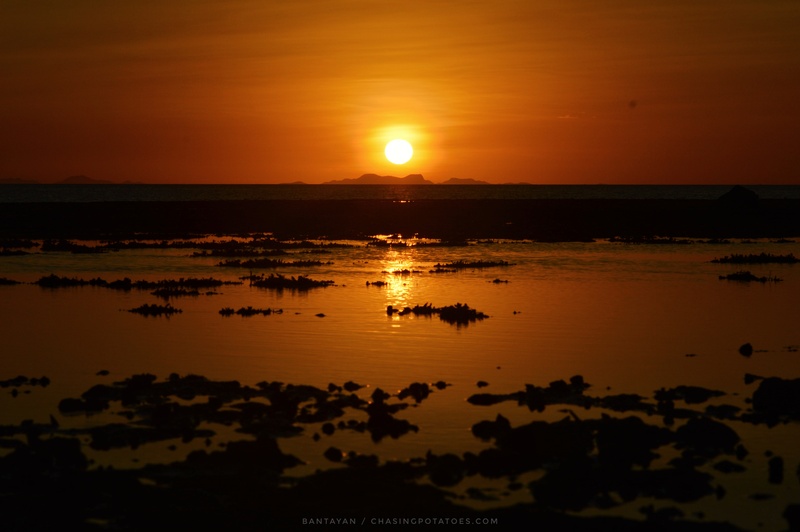 For many years I have lived in Bantayan, but I didn’t have the drive to wander out. But now, it’s different from before. So I would like to share my recent tour in Bantayan. 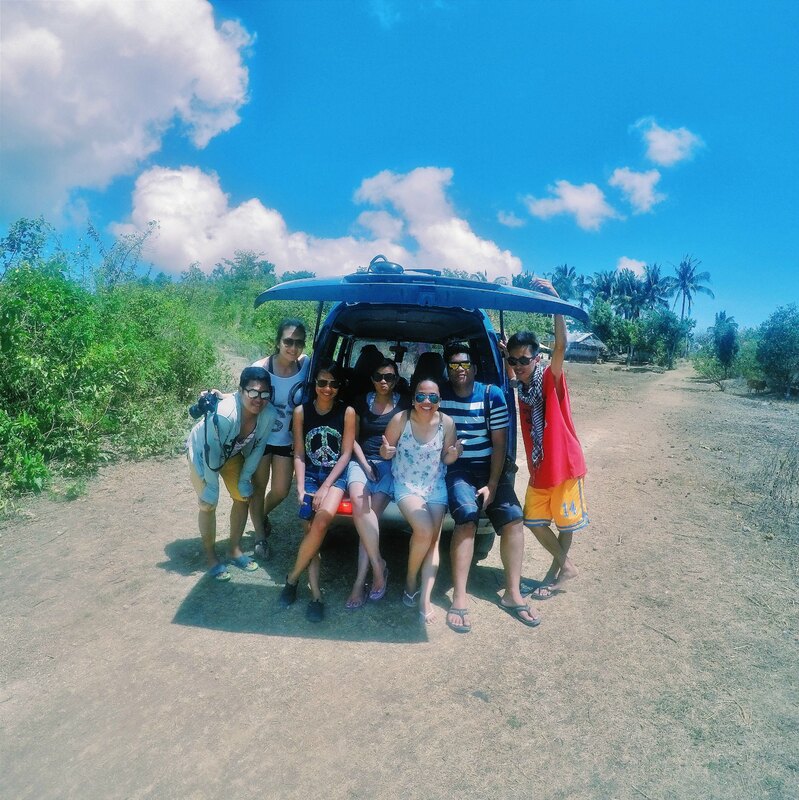 Here are 13 ways to experience Bantayan to the fullest. 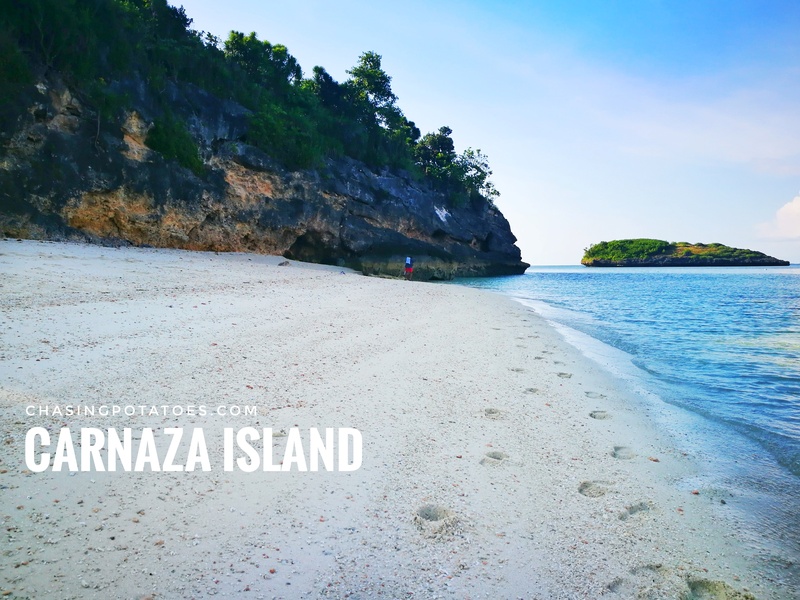 As far as I know, there are two resorts in Bantayan Island that offer swimming in a cave but there are still caves in Bantayan that seldom visited by tourist. I just learned that there’s another cave in Barangay Tamiao called Hydra Cave. The entrance fee is 20.00 Php only. Why not try Hydra and enjoy swimming in it? Hydra Cave is privately owned, but it is open to those who want to see and/or swim in it for a minimal fee. To preserve its beauty and to prohibit trespassers, it is enclosed by a fence. It has a small cave opening, but inside, the space is as big as house which can accommodate to 25 to 30 people. The water in the cave can reach 9 ft. deep if its high tide. During low tide the water is 5 to 6 ft. deep. The cave rocks are “alive and growing” meaning some stalagmites and stalactites are visible. Kota which means fort was originally built by the Spaniards during the 1790’s and it was used as a camp and watchtower. What remained after many years were the ruins of the Kota. The Kota was later on transformed into a park where artifacts and relics were displayed. Unfortunately, Earthquake and Super Typhoon Yolanda destroyed the Kota Park. It is presently closed for viewing. See the colorful wooden letters on the shore. They spell LAWIS, the old name of Madridejos. This painted wood and the ruins of Kota Park are nice sights to perceive. In additional there is the Bontay Boardwalk, a 187 meter-footbridge connecting the shore to a lighthouse or watch balcony. Taking a walk through the bridge and looking around are just perfect moments to relax, enjoy the view and smell the sea breeze. Many tourists don’t even know this. The quarry done by the locals has created a magnificent view of rock formations, a picturesque view of a mountain. 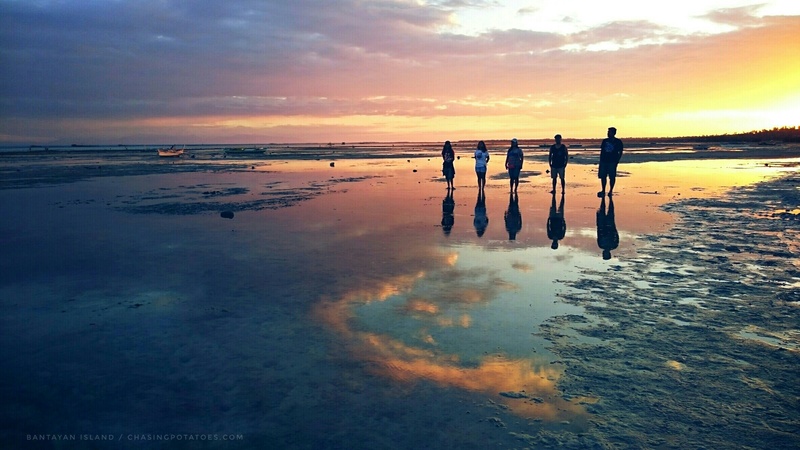 It is another scene that tourist must visit in Bantayan . It’s like in the series of Breaking Bad where Walter White hid his money, lol. haha! It’s just a ten-minute ride from Poblacion Bantayn to reach the Quarry. Mangroves play a vital role in the preservation of the ecosystem. Take time to visit the mangrove sanctuary in Obo-ob and see what the people there have contributed to save the marine resources of Mother Earth.Aside from the different species of mangroves you can see lots of marine animals around the area. Despite the destruction caused by Typhoon Yolanda, several mangroves have managed to survive and had made our saunter pleasant and worthwhile. 6. 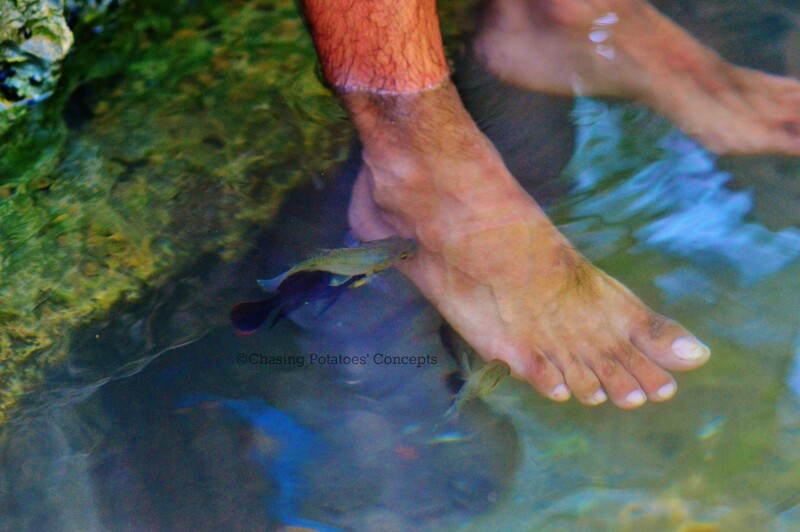 Relax with the Fish Spa in Marikaban, Sta. Fe. Never would I thought that this exist in Bantayan and please note that this is free! AWESOME! No entrance free no charges! Absolutely free. This was one of my favorite places in my Bantayan tour. I could stay here for a day! Maybe these fishes have limited space to swim and inadequate food to eat, these may be the reasons why they greedily feed on whatever objects gets into the water. The name of the place is Langub. 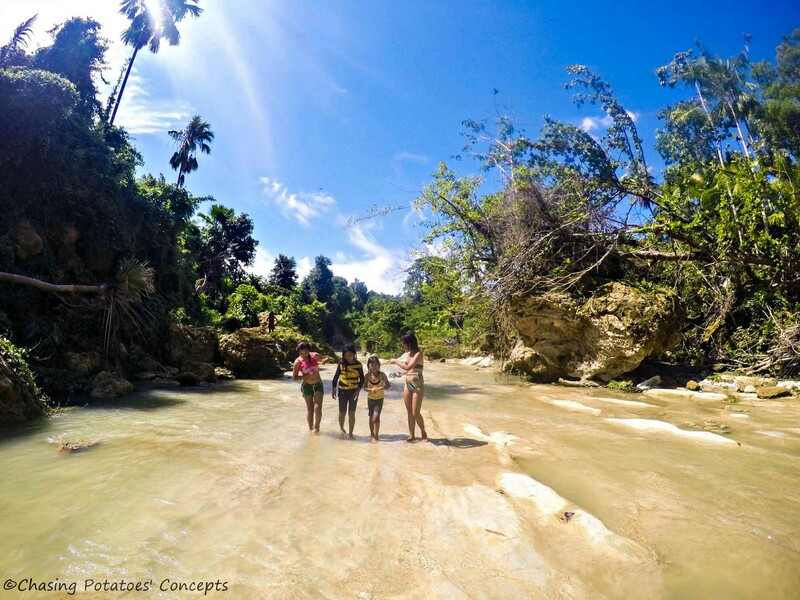 There are number of great and beautiful beaches in Santa Fe, but let me stress this, if you re on a tight budget but you want to go swimming in the sea for free, go to Tingtingon of Barangay Marikaban of Santa Fe. After all the sea water of anywhere has the same salty taste, lol. 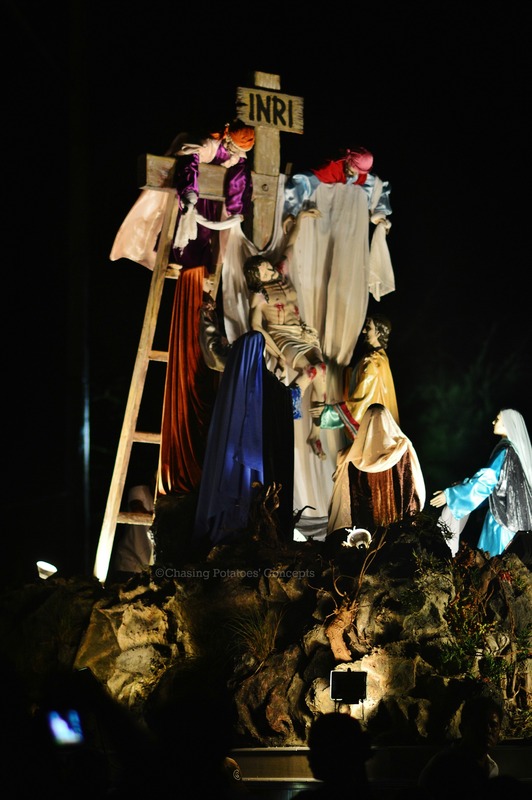 Holy Week is an annual event. 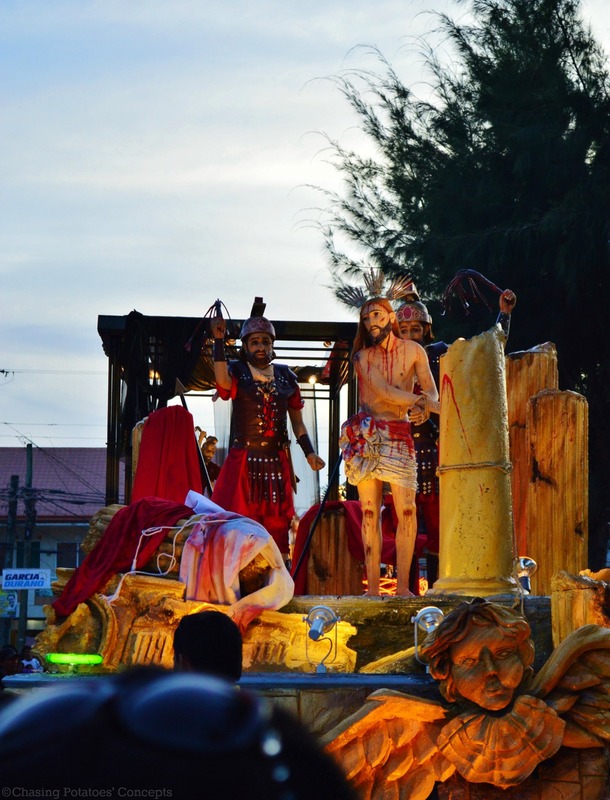 A great number of people come to Bantayan during this time and that is why Holy Week has been mistakenly believed as the fiesta of Bantayan. 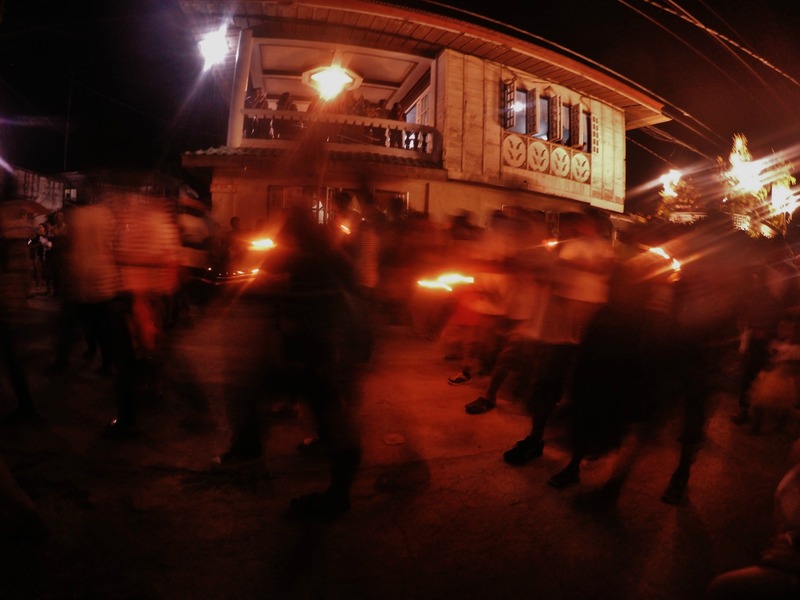 Please be aware that the town fiesta falls on June 29 and our patron saints are Saints Peter and Paul. Expect a lot of people during Holy Week. The population is more than doubled. You may either be a spectator of the big caros or you may join the procession. 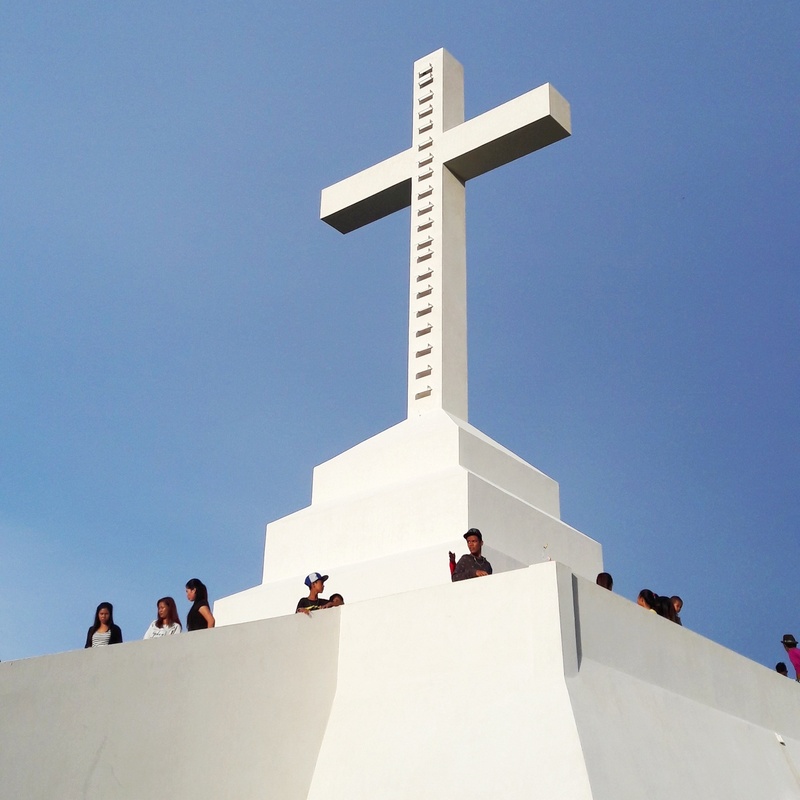 ♦ The Bantayan Museum showcases antique religious articles, garments and works of art made by known Bantayanon artists. If you want to know why Bantayanons eat meat on Good Friday, visit the museum and see the old document showing the Pope’s dispensation giving Bantayanons that special permission. 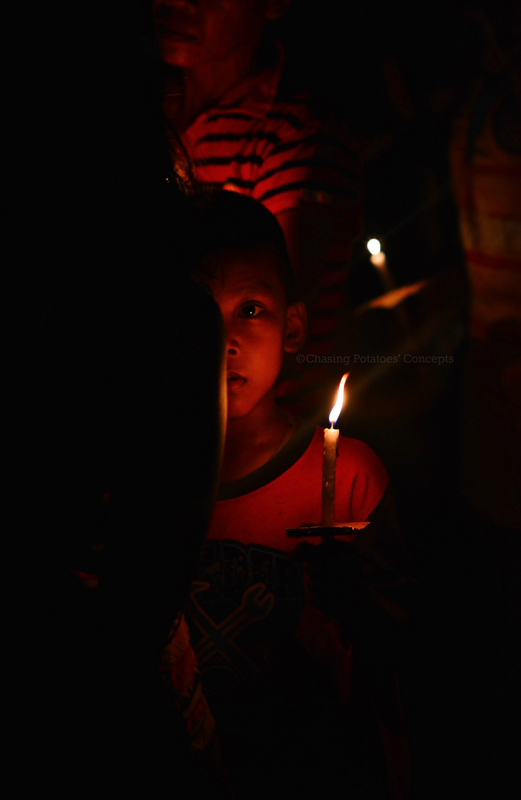 I think the dispensation has lost its validity because it was issued centuries ago, but some Bantayanons continue to practice this tradition. Tagu-angkan is from the chicken’s womb where egg is formed. It is barbecued or grilled. It tastes like an egg. Some people in Cebu City don’t know about this. 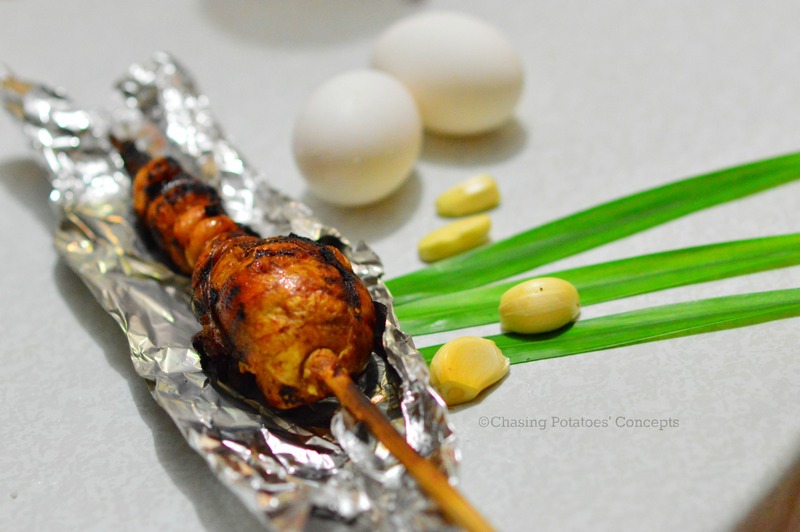 That’s why if ever we have visitors, we offer this Tagu-angkan barbecue. For those of you who like to chase sunsets, you can witness these equally beautiful sights at Sta. Fe, Bantayan and Madridejos. With the right weather, you can capture stunning photos. 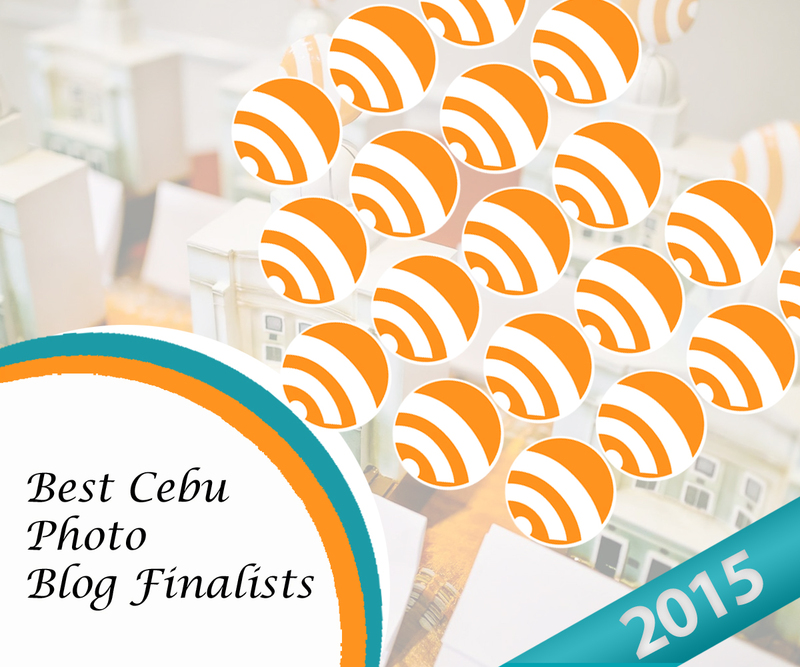 Here are my example of my sunset photos captured in this island. 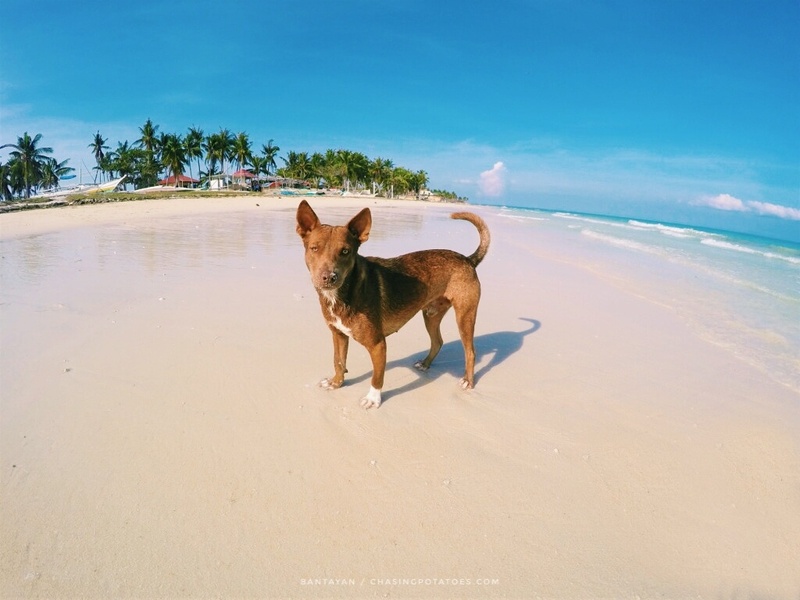 I love wandering on any of the beautiful beaches that Bantayan Island offers. Walking alone on the fine white sand, viewing the spectacular tropical scenery, watching the waves kiss the shore are perfect ways to beat the heat this summer. 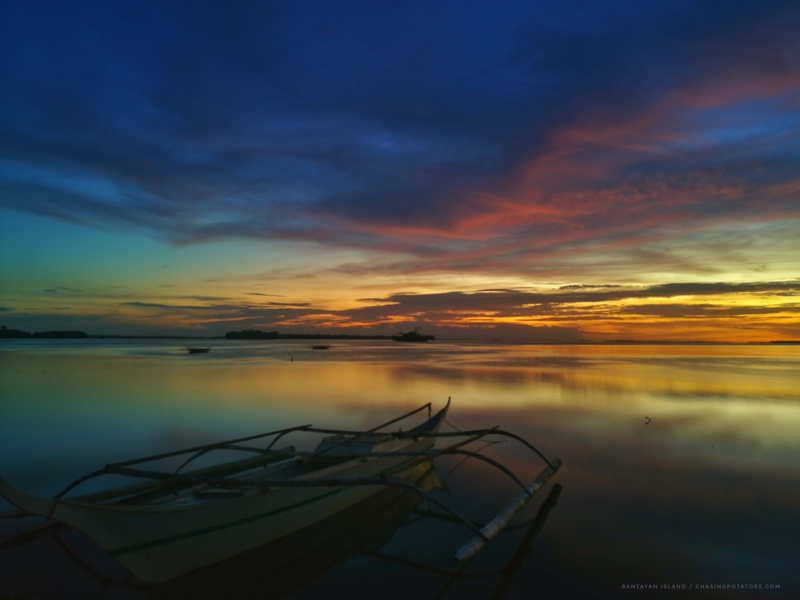 ♦ Bantayan Island has 3 municipalities, namely Santa Fe, Bantayan, and Madridejos. 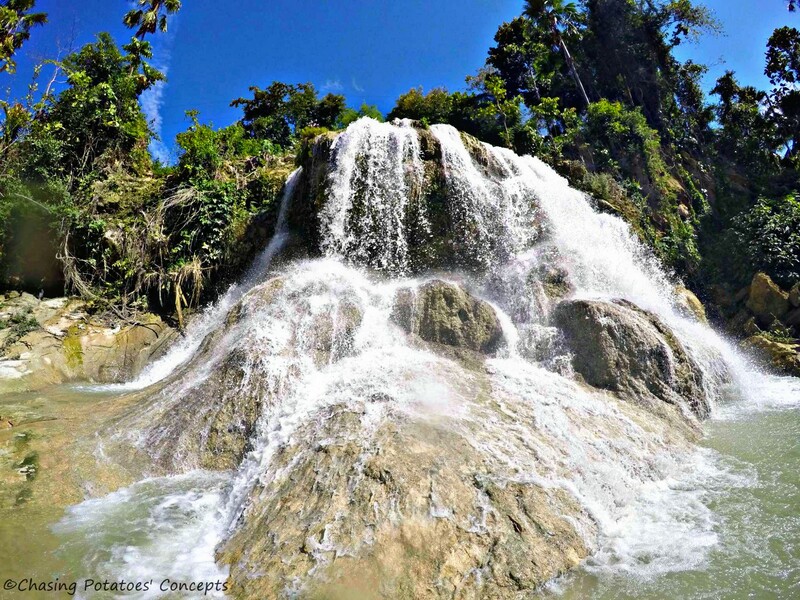 ♦ Some of the nice spots mentioned here are located in the interiors parts of Barangay. They are not along the highways. Just ask people for directions. How to go to Bantayan? • The ferry ride will take about 1 hour and 30 minutes to reach the port of Santa Fe. ♦ In Santa Fe Port, go to the tourism office, just follow the covered walkway in going there. Then pay Php 30.00 for the Ecological Fee. 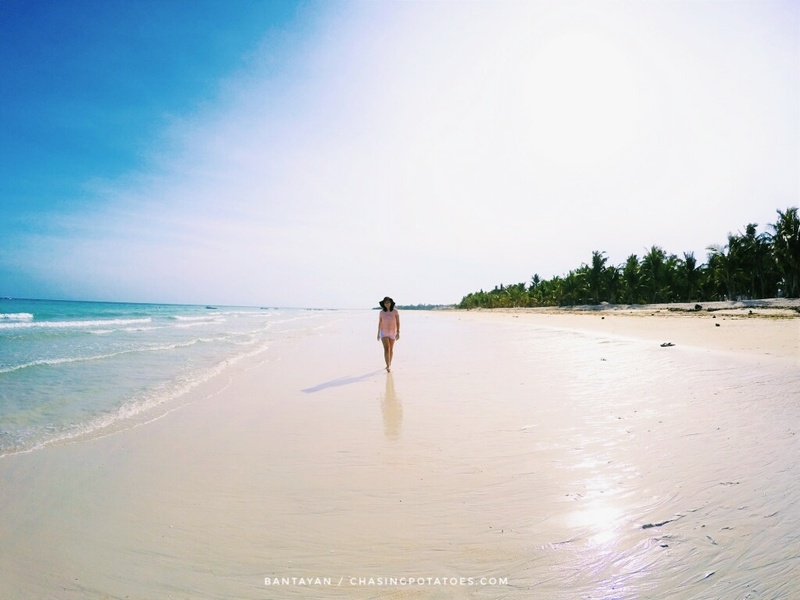 ♦ Then you are in Bantayan Island. 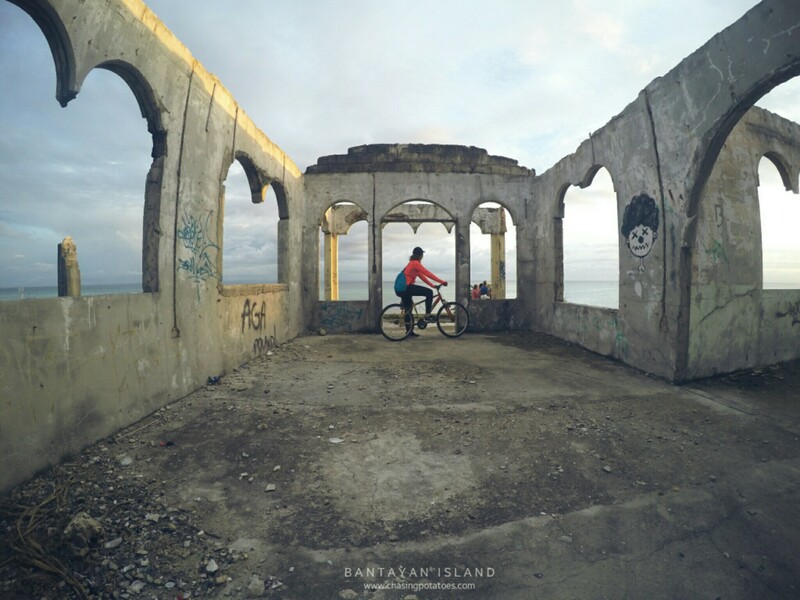 Take a jeepney or tricycle for the town of Bantayan. It will cost you Php 30.00. ♦ Another option is to take a Ceres Bus at the North Bus Terminal which will go directly at Bantayan. 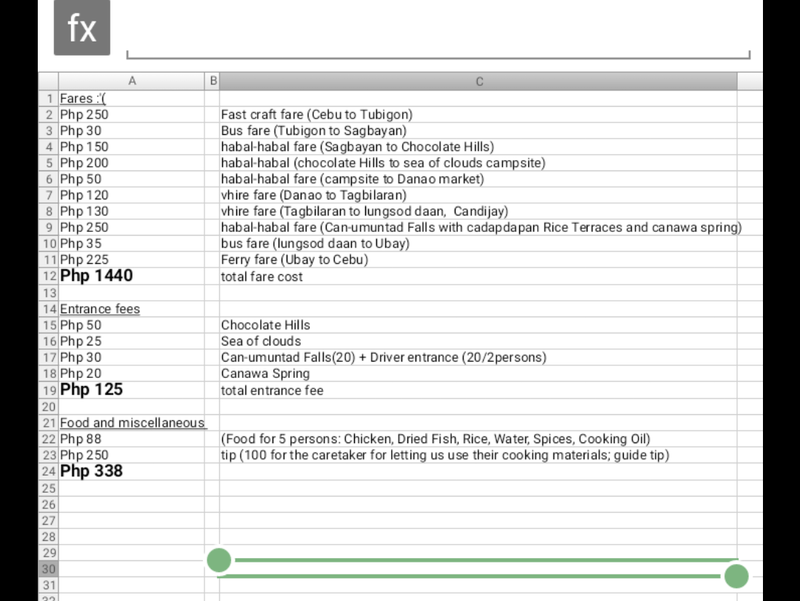 The fare is Php 230.00 excluding the ferry fare. © Rainjai_gp for some pics. Thanks for updating this article! I love how informative this is from back when it was originally posted until now in the present since you have updated the necessary things. Thanks for this awesome article! Hi! Just wanna ask. Which resort would you recommend? With good services, wonderful place without minding the cost. What about Koto Beach? Is there much difference? Did you mean Kota Beach? Kota beach has no swimming pool and cave but it has a great beach and beautiful tropical scenery. Hi tanong ko lang po may marerecommend po ba kayong accomodation na ok sa bantayn? Magkaiba pb sta fe at bantayan? 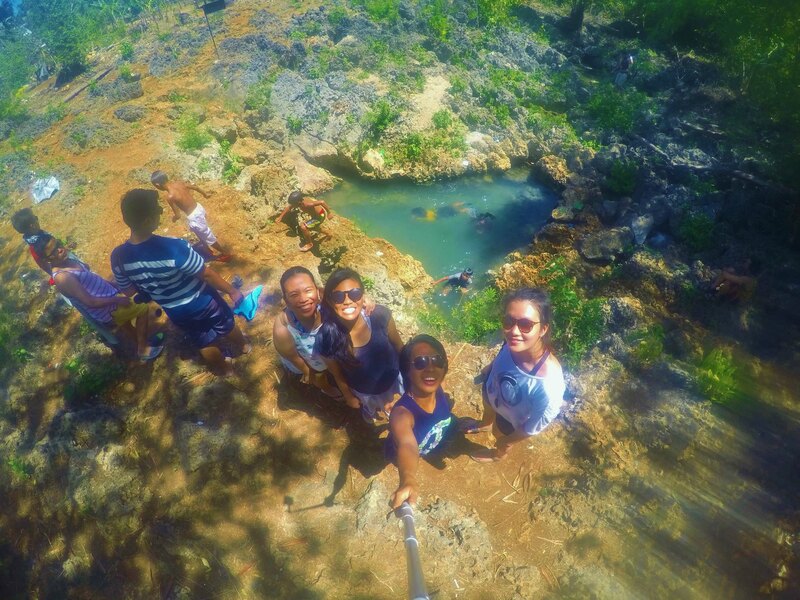 Hi Neds, the ruins is located at Tingtingon,Stafe just nearby Ogtong Cave Resort. You may hire tricycle from Sta.Fe port or you may rent a bike if you want to go to the Ruins. Just ask the locals for directions. ☺☺ Thanks for dropping by. thanks for sharing! can you recommend a place to stay? cheapest available hehe! kahit fan room. what’s your travel date? solo traveller here, mind if i can tag along if we have the same date. pwd mangayo directions padung quarry? ug katong murag the ruins sa camp sawi nga movie? thanks! Such gorgeous and amazing photos! I have some serious wanderlust right now… and a bit of a hankering to buy a selfie stick! I’ve been to all of these places and it’s wonderful!!!!!!!! (EXCLAMATION POINTS TIMES NINE HUNDRED) The pictures are awesome and this blog post makes me want to go back to those places again! Hope I can experience Bantayan! I adore the places and spots. Thanks for sharing. What amazing photos!!! Love the blog heheh I would love to visit this one day too! Really awesome pictures and it looks like you are having so much fun with a great company of people! Thanks for your recommendations on the places to visit too! Gly! thank you for sharing these tips. I heard Bantayan Island is really good! hahaha, uu akon na gicorrect hehe! SARRY! 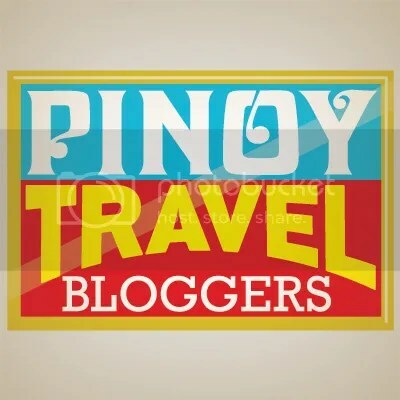 Thanks for the blog about Bantayan. I wish to correct though that Bantayan Island Nature Park and Resort does not charge an entrance fee but we do charge a daytour fee of P200 which includes the use of all the amenities. It is value for money. Our resort is also taking the lead through our NGO – Damgo sa Kaugmaon, our CSR, the community-nased eco-cultural tourism. 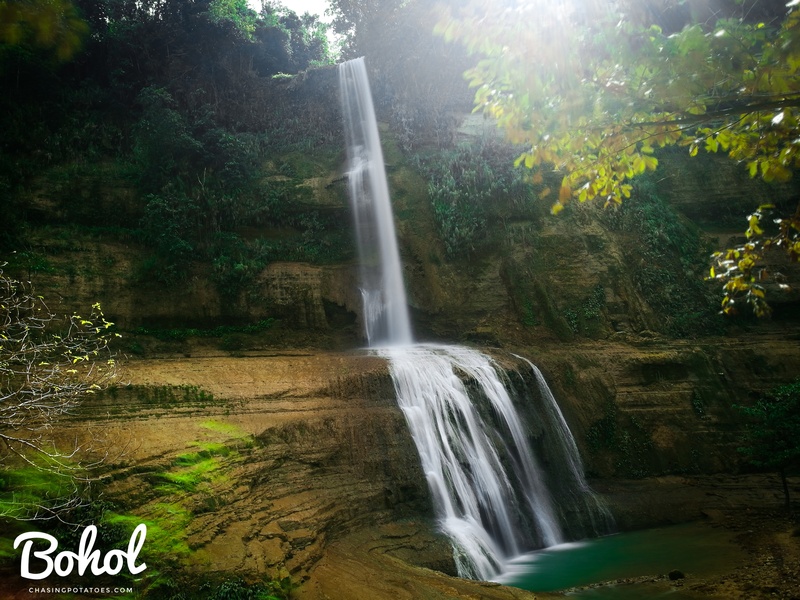 Expect soon a sustainable and inclusive development of tourism in the island. Thanks again. By the way, it is also worth mentioning that at Bantayan Island Nature Park and Resort, we are mindful of the preservatikn of the cave and its water quality hence we require all swimmers to have a shower first to remove natural body oils, lotion, sunblock and sweat before swimming. That is why we have a couple of showers at the entrance. It is unfortunate that tourists amd local alikes fail to consider preservation as a responsibility.